When I work with you, I don’t just offer a one-size-fits-all list of communication tips and techniques. 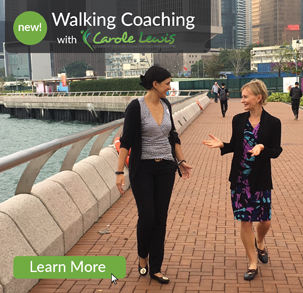 Instead, I help you explore both internal and external factors that stand in the way of your ability to command attention when you communicate with others. Our ability to communicate well is about more than what is visible to others. I often refer to ‘The Iceberg’ of communication. 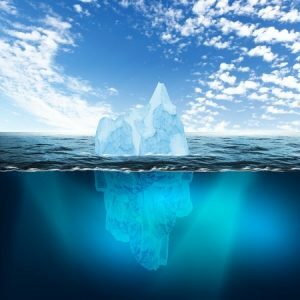 Only the very tip of the iceberg is visible, yet there is a lot under the surface that we can’t see but need to consider when we communicate. There is little value in addressing external behaviours without also addressing the internal drivers of those behaviours. This is why you need to explore deeper into what is stopping you from becoming an inspiring and admired communicator. My work draws from the fields of neuroscience and scientific research on how the brain works. This approach provides a solid grounding to the coaching, particularly for those who are technical or more practically inclined, as it allows you to use your knowledge and awareness of internal processes to change your external behaviours. Once you learn to notice what’s happening inside, you’ll have the power to change what people see on the outside. Changing the way you communicate or interact with people is possible, but it doesn’t happen by itself. There is a wealth of information available about how to communicate well, but merely reading doesn’t lead to long-term change for most people. It can happen, but it will only happen as a result of intentional and deliberate steps based on what you learn about your internal drivers and how they impact your external communication. Once you learn to notice what’s happening inside, you’ll have the power to change what people see on the outside. Get clear about who you are and how that impacts your communication. I will guide you through realistically looking at your strengths, weaknesses and potential derailers with your communication. In order to make a change, you need to know what internal thought process and external behaviours you have that help or hinder your progress. Get clear about exactly what you want to achieve. ‘Communication’ is a diverse topic. It’s important to understand exactly what you want to achieve in order to determine where you need to develop. Take Steps towards change. Changing the way we communicate is an individual process. What works for one person may not work for another. It takes reflection and well thought out experimentation. I will help you plan steps that work for you, steps you can take everyday at work and home to make the changes you want to make. Assess the impact of actions. New behaviours need to be assessed to determine their impact. 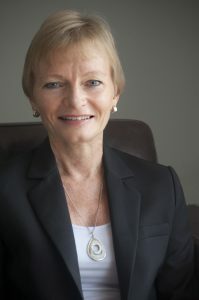 I will help you understand what you need to do more of, or less of, to be a confident and convincing communicator. Contact me now to discuss how you can make the changes you want to make.